Emergency Shelter — Rapidly Deployed, Comfortable, Economical, Versatile! Emergency shelters need to provide a secure environment that can be quickly deployed. ClearSpan emergency shelters can be relocated and constructed in a matter of days, and their strength and structural integrity provide a safe building solution in even the most harsh weather conditions. Their versatile nature makes them an ideal option for any response need Emergency shelters from ClearSpan don’t feature any support posts, so they provide the maximum amount of usable space and can be organized in a manner that is convenient for workers and residents. 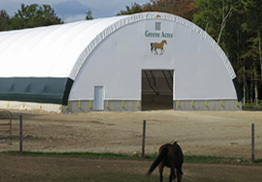 Those occupying ClearSpan shelters experience a well-ventilated and healthy environment that limits the growth of bacteria and mold and is inhospitable to pests. 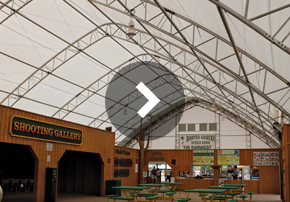 ClearSpan allows for quick response, without sacrificing strength, durability or dependability. Our emergency shelters come in fabric, hybrid and metal buildings, so ClearSpan can design and create a shelter that functions exactly how you need it to.